Stock status is current as of 4/18/2019 12:45 PMET. 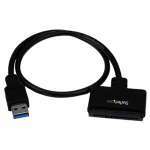 Add an eSATA port to your PC, extended from internal Serial ATA connection port. 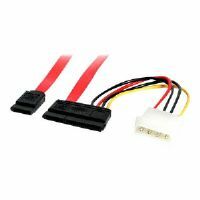 The ESATAPLT1LP Low Profile SATA to eSATA plate adds external data support to any existing Serial ATA controller, allowing you to connect external SATA (eSATA) storage to a computer. 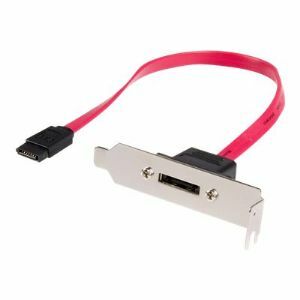 With support for data transfer rates of up to 6Gbps, this external SATA plate allows you to take advantage of the increased data integrity provided by external hard drives or RAID devices that support eSATA connections.